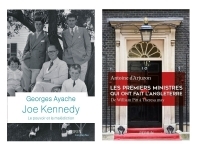 USPA NEWS - - "Les Premiers Ministres Qui Ont Fait L'Angleterre - De William Pitt à Theresa May" (Prime Minister Who Made England - From William Pitt To Theresa May) By Antoine d'ARJUZON and Published by Perrin Editons. This Book has the Ambition to put Lights on the Prime Ministers who played an Important Role in leading the Country, during the XIXth Century to a Remarkable Degree of Power. Allowing it also to pass with Honor through the XXth Century Two World Wars. - "Les Premiers Ministres Qui Ont Fait L'Angleterre - De William Pitt à Theresa May" (Prime Minister Who Made England - From William Pitt To Theresa May) By Antoine D'ARJUZON and Published by Perrin Editons. This Book has the Ambition to put Lights on the Prime Ministers who played an Important Role in leading the Country, during the XIXth Century to a Remarkable Degree of Power. Allowing it also to pass with Honor through the XXth Century's Two World Wars. The Prime Minister of the United Kingdom is the Head of the Government of the United Kingdom, and chairs Cabinet meetings. The Term had been used in the House of Commons as early as 1805, and it was certainly in Parliamentary Use by the 1880s. Strictly, the First Prime Minister of the United Kingdom (of Great Britain and Ireland) was William Pitt the Younger.The First Prime Minister of the Current United Kingdom (the United Kingdom of Great Britain and Northern Ireland) was Bonar Law, although the Country was not renamed Officially until 1927 when Stanley Baldwin was the serving Prime Minister. Prior to the Georgian Era, the Treasury of England was led by the Lord High Treasurer. By the Late Tudor Period, the Lord High Treasurer was regarded as One of the Great Officers of State, and was often the Dominant Figure in the Government. After the Succession of King George I in 1714, the Arrangement of a Commission of Lords of the Treasury (as opposed to a Single Lord High Treasurer) became Permanent.... The Prime Minister is Ex Officio also First Lord of the Treasury and Minister for the Civil Service. Certain Privileges, such as Residency of 10 Downing Street, are accorded to Prime Ministers by Virtue of their Position as First Lord of the Treasury. The Status of the Position as Prime Minister means that the Incumbent is consistently ranked as One of the Most Powerful and Influential People in the World. 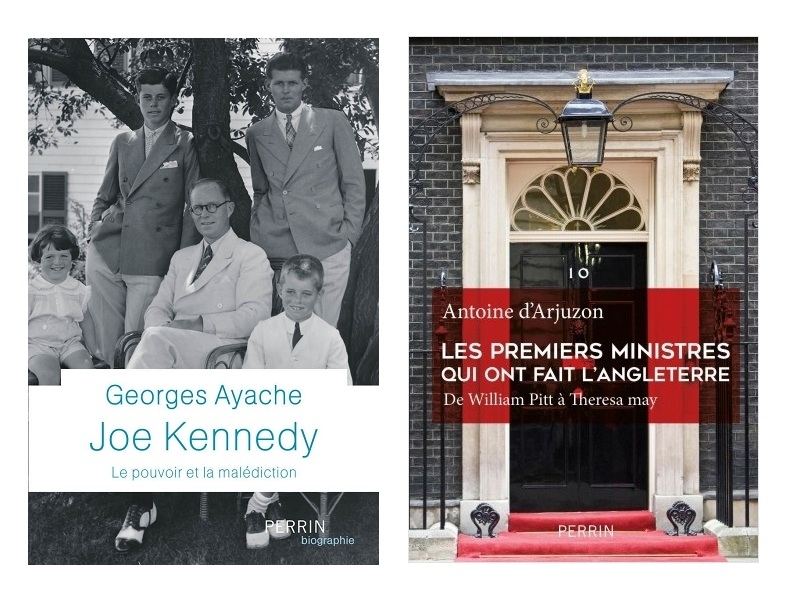 - "Joe Kenedy - Le Pouvoir Et La Malédiction" (Joe Kennedy - Power And Curse) By Georges AYACHE and Published by Perrin Editions. The Author has the Ambition of disclosing the Real Portrait of Joe Kennedy, going through his Controversial and Ambivalent Personality. The "Hero" is still fascinating Millions of People : Banker, Bootlegger, Movie Producer, Ambassador, Business Man... he lived so many Lives. Always Sensitive to the Honors and Hungry for Fame.